The so called aggregation method has been suggested in  for inverting block matrices which may be split into the sum of two matrices, one of them being invertible and the other one being “Block-wise constant”, i,e. having in each of its blocks all elements of the same value.The method consists in replacing the inversion of a large block matrix by the inversion of a matrix of a lower dimension. It was studied in [ 3] from the numerical point of view and several numerical examples have been performed. 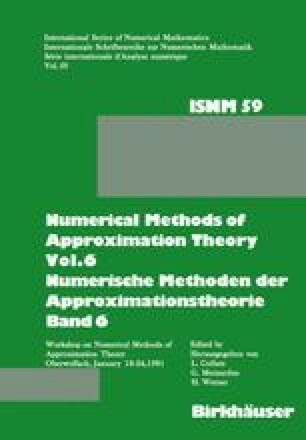 Some results concerning the applicability of this method — in particular to certain class of sparse Leontjev’s matrices — are presented in this paper.